As part of our regular series of blog posts, we take a look at what projects the Box Moor Trust Volunteers are working on, and the invaluable help they provide. Further work has been carried out on the construction of the Kingfisher box. If you read last weeks Volunteer Diary, you will know that progress is well underway, with the foundations having been laid and the upright supports firmly in place. This week the volunteers work involved weaving Willow around the front supports in order to provide a frontispiece for the next box. 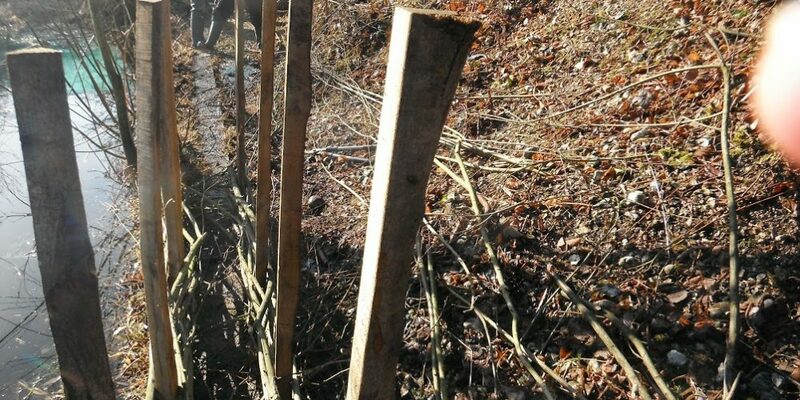 The willow branches were sourced from trees already growing in the Cressbeds, meaning that not only will the project benefit local wildlife, but is also created from the resources naturally abundant in the immediate area! The woven Willow in situ along the front of the Kingfisher Box. 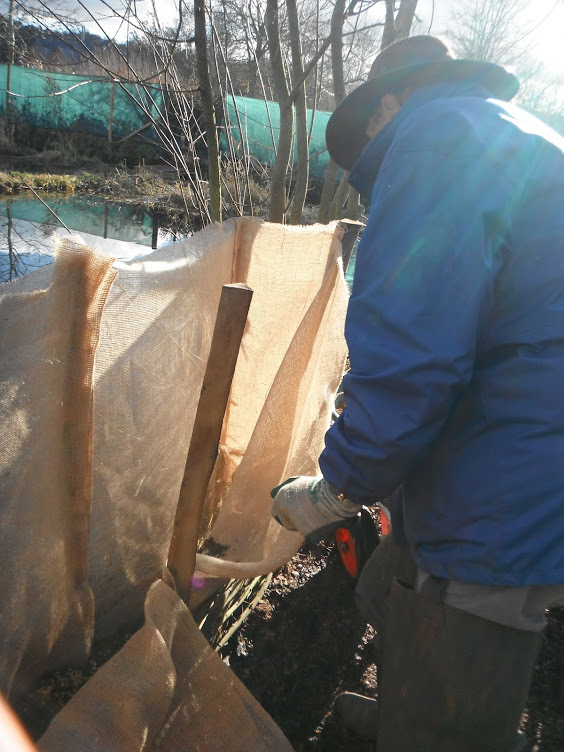 Once the willow had been carefully woven at the front of the box, it was time to put up some burlap and pour in the mixture of sand and cement! This mixture will provide a solid base for the Kingfishers new home, making it safe and secure. Photos kindly supplied by Mrs E. Warriner. 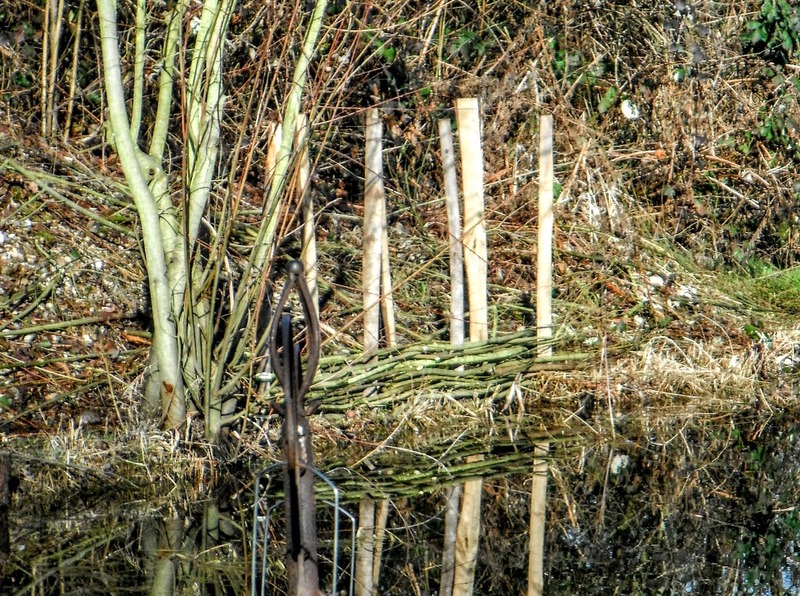 In the following weeks we will be following the construction of the Kingfisher Box, before following the Volunteers wherever their work takes them!